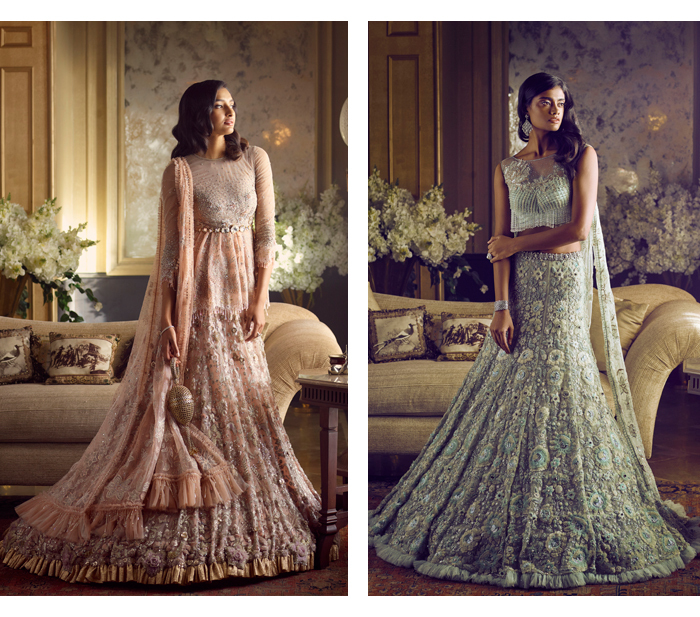 A new season means new collections from some of our favourite Indian designers. 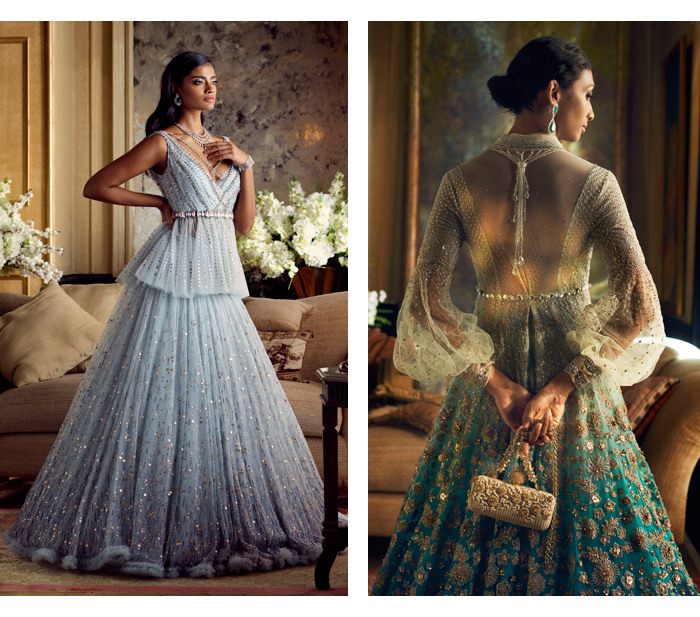 This time it’s Tarun Tahiliani’s turn to wow us with sartorial beauty in his Elysium collection. The range is all decadent shimmering florals, weightless drapes and delicate gossamer-wrapped silhouettes inspired by the mythical realm of Elysium. 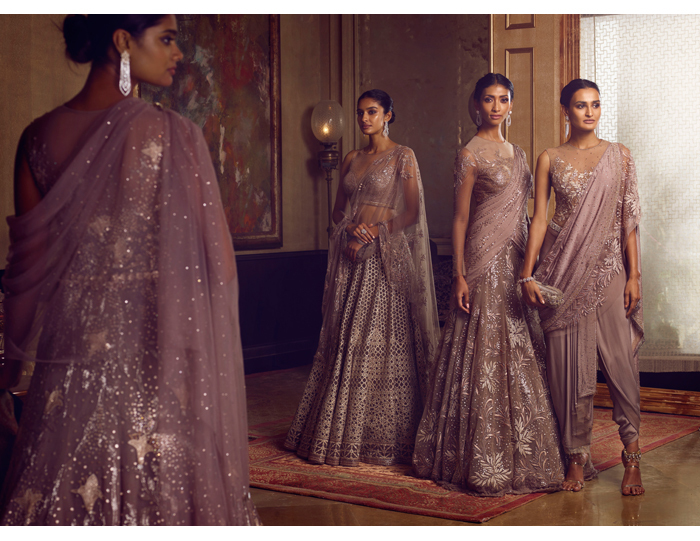 Juxtaposing iconic European construction with classic Indian styles and embroideries, this collection exemplifies an India Modern aesthetic. A soft, ethereal palette is crafted with layers of Swarovski-encrusted embellishment on crinoline that finds itself raised to new heights of structural engineering. 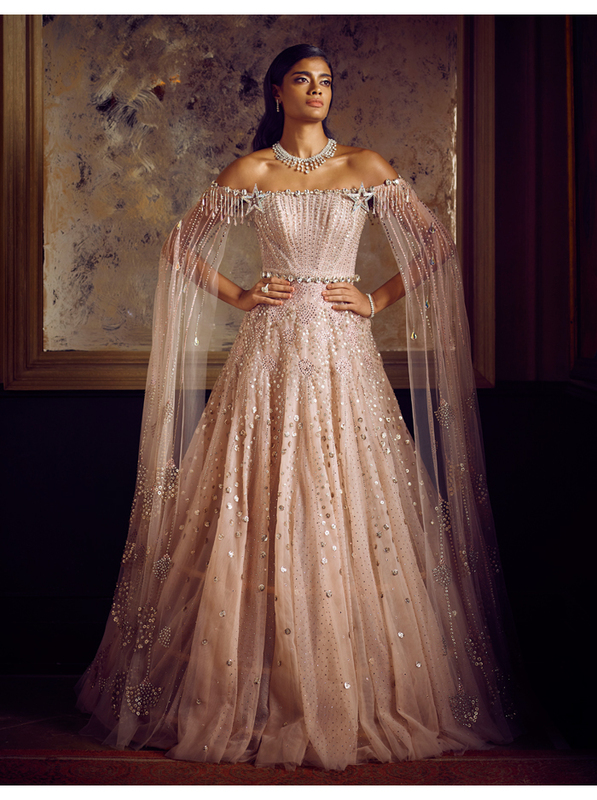 Building on the idea that brides shouldn’t feel weighed down by her clothes, fabrics include swathes of airy hand-knotted lace, Italian tulle, French lamè and sheer silk. 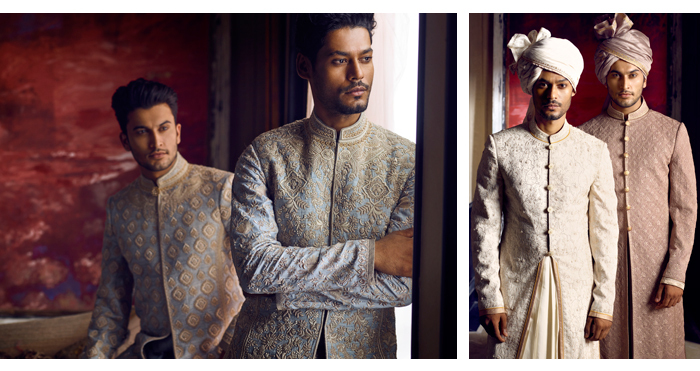 The looks are all finished with Indian embroideries of zardozi, ari, gota-patti and chikankari. “We have made a very conscious shift towards the concept of weightlessness this year. Having spent almost two years in development, we have mastered a way to achieve the gossamer lightness we’ve been looking for. I am so proud of each piece in this collection because I know it is as opulently light and beautiful as I had conceived it to be. 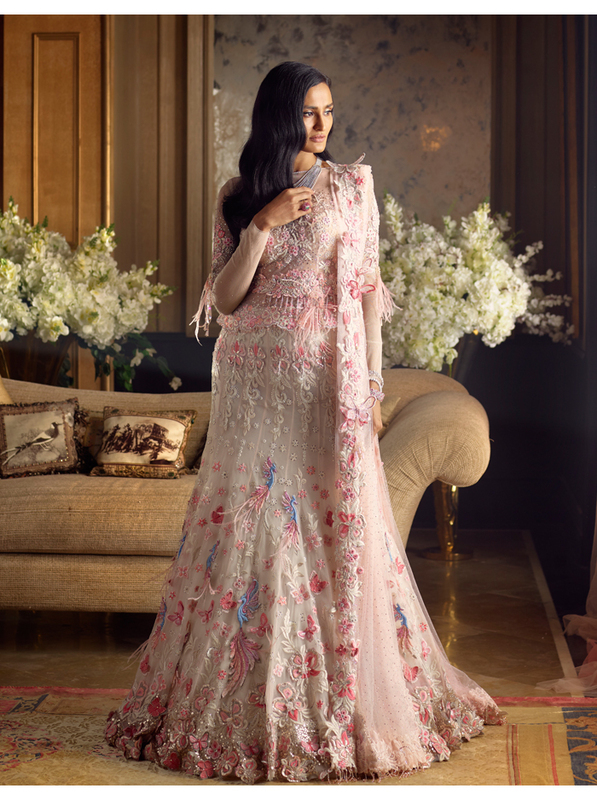 In Elysium is a couture and occasion wear collection that celebrates the modern Indian goddess. 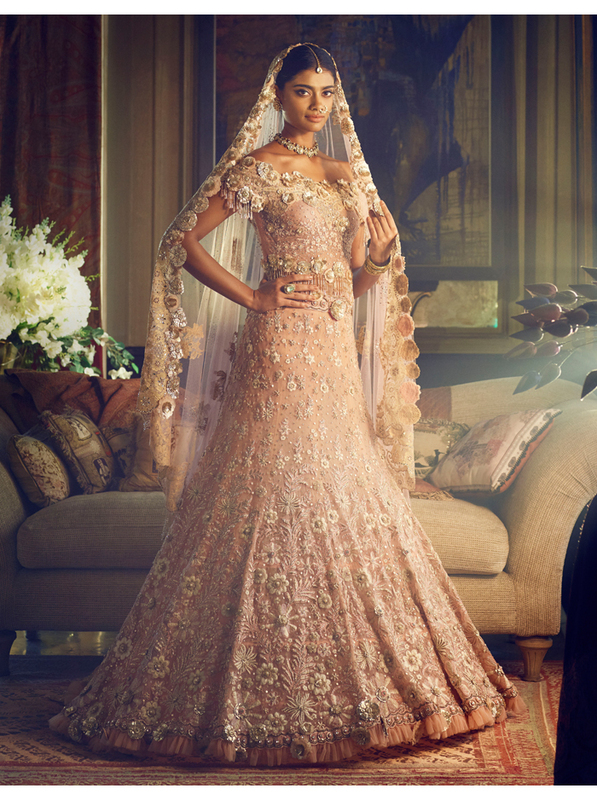 One who embraces luxury as a way of life and encapsulates all the beautiful influences of India, today.